Water fasting is a perfect way to refreshing and rejuvenate your body. I talked about how I am a Breatharian a lot. Poor judgment to people who choose not to like me without clothes LOL, they would think I was just bragging. But actually, it is quite the contrary. I truly have no other intention of talking about it… other than just to inspire other people. Many people have wanted for a long time, to become awake enough that they could transcend the laws of the third dimensional realm. The laws here,definitely have a lot to do with food, and sleep. Could you imagine a life where you don’t need to buy hundreds of dollars of food in a month? On average, most people spend anywhere from $200-$300 weekly on groceries. Not including going out for a bite to eat or snack in between grocery shopping. Now imagine you could save all of that money? How amazing would it be? Well you can! And imagine also, that every single day you have so many things to do but the time flies by much too quickly. You’re not able to finish everything were, you choose not to because you feel it’s hopeless. But what if you didn’t need to sleep anymore? This is also possible. I am living proof I have had so many people think that I am being this honest about this whole thing. And that’s because they live their lives and every dayThey know inside of themselves that they absolutely need food. Because their belly round balls and they get hungry but that is a figment of the third dimensional mind. Being tired and hungry are both programmed attributes of our third dimensional world. Many years ago I was high vibrational already yes, but I was also used to being in this world too. I never did have a large appetite and really growing up I only ever just eat once a day to begin with. Food somehow just didn’t appeal to me. But I always like to sweets and citrus. What can I say? That is the angelic in me. But it’s true! I could eat tons of that, but any other foods, forget it. However, about three years ago… I started transmuting enough energy within, that I could sustain my life without. I was working so hard and long, they often forgot to eat and I would be in trance for multiple hours a day. I started to realizethat the more I was in trance, the more I escaped this world. My life is always been so shifting frequencies, and multi dimensional. However, the longer I stayed in them, the less that I aligned with this world. Eventually, I didn’t eat or sleep at all. But now, it doesn’t really matter who is around, because I have decided to not lower my energy to accommodate anyone else anymore. Instead I hope to raise theirs and help them instead. But water fasting is a very important element of life no matter whether you eat and sleep or not. It’s very important to at least close your eyes for a few minutes a day. Which I do. I am totally awake and running around crazy, all the way through the day nonstop. All around the clock! And I do get a lot more done, that way. But I do stop for maybe 20 minutes to a half an hour to close my eyes. It’s not to sleep, but it is to shut out the external world. Many people when they go into a trance, close their eyes. Not me. I do not close my eyes. I keep them wide open. And that is because I can shift the frequency to see that way. The only times that I shut my eyes are for OBE or astral projection. And that is because there is something very specific that I do in order to achieve that. However seeing people spiritually, reaching them, channeling, you don’t need to close your eyes for that. Probably one of the weirdest spiritualists you have ever heard of LOL. With all of that being said, the physical body is not really physical. However if you live in this world and you are used to everything, then it’s very physical for you in some sense And it is for me to sometimes. I will admit that I do choose to operate on 3-D sometimes, keep up with my family and friends were there. Water is a wonderful energy because everything around you is water. The body is made of water and other elements, the sky is a different type of water that was changed to another element, you were oceans, most of your foods, your blood… since air in the sky is an element changed to water, like a plasma, so is your consciousness in a sense. It’s a little harder to explain here, I would need more time. However everything is water. Because water is the reflection in which the rays of light sparkle off of. Sort of like a Crystal, which is neither liquid nor solid. It will Increase Your Energy and Reduce that Tired Feeling. Since your brain is mostly water, drinking it helps you think, focus and concentrate better and be more alert. As an added bonus, your energy levels are also boosted! Dehydration is a major reason we feel an afternoon slump and a craving for food!! It can Help You Lose Weight! Water removes by-products of fat, reduces eating intake (by filling up your tummy if consumed prior to meals), reduces hunger (hello natural appetite suppressant! ), raises your metabolism and has zero calories! It will Flush out the Toxins. Gets rid of waste through sweat and urination which reduces the risk of kidney stones and UTI’s (urinary tract infections). It Improves Your Skin Complexion. Moisturizes your skin, keeps it fresh, soft, glowing and smooth. Gets rid of wrinkles. It’s the best anti-aging treatment around! Water Maintains Regularity. It Aids in digestion, as water is essential to digest your food and prevents constipation. Boosts Your Immune System. A water guzzler is less likely to get sick. And who wouldn’t rather feel healthy the majority of the time? Drinking plenty of water helps fight against flu, cancer and other ailments like heart attacks. It is a Natural Headache Remedy too! Water Helps relieve and prevent headaches (migraines & back pains too!) which are commonly caused by dehydration. It Prevents Cramps and Sprains. 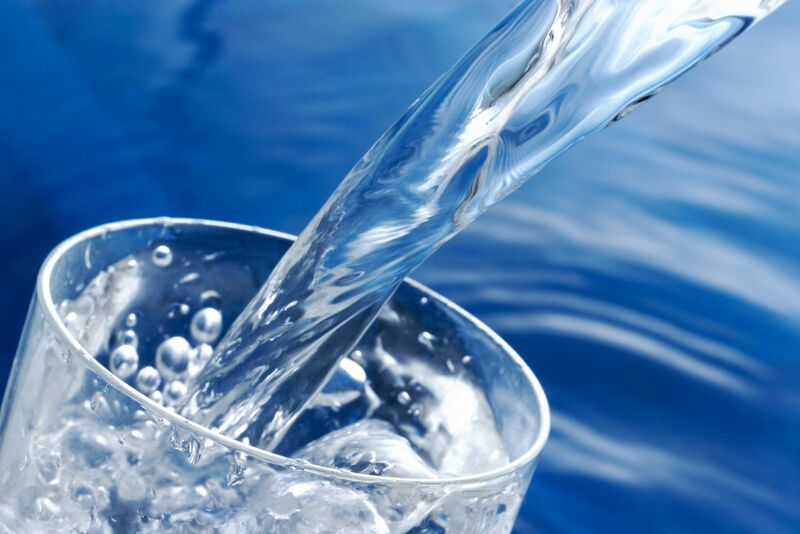 Proper hydration helps keep joints lubricated and muscles more elastic so joint pain is less likely. Drinking Water Puts You in a Good Mood. When the body is functioning at its best, you will feel great and be happy! It can Save You Money! Now this is where some people may argue that drinking water is expensive! Well it can be if you choose to drink bottled. But it is really hard to recycle plastic because it’s very expensive to do so. It’s better to filter your own water and do it that way. So as you can see, drinking water has many health benefits physically. But spiritually even more so. Because when your physical body is in a good state of health, then so is your mental state, your emotional, and physical. That then leads towards having a better state, because areas of your aura are associated with all of that. If your physical body is vibrant, then your mental and emotional health will be two, and then you will have aperfect to see if spiritual health over all. But it doesn’t just stop with water. You have to also stay physically active. I always have an exercise routine. I do yoga, Pilates, walking, aerobics, hiking, and any other exercises that I feel inspired to add. I also like to go to the gym twice a week and use the equipment there. And when I am not exercising or out and about, I pace a lot. Water fasting helps you purify your body. Imagine that your colon still hangs onto a lot of yucky stuff from many years ago, if you have not had any colon cleansing done over time. That’s why a lot of people have some pains in their bowels are digestive track. Also your liver needs a lot of fluids to stay balanced, that way your body can eliminate the toxins that usually come with aging in the process. Food is a privilege obviously, many people seem to think that it is a natural state of life. But the truth is, in old ancient times, people did not have access to food the way that they do today. Back in ancient times, they would hunt and sometimes only eat just once a day, and sometimes if they couldn’t find anything at all, once a few weeks. Today, food is available every which way that you turn. And it’s definitely not a surprise that most of it has a lot of poison and toxins in it. No wonder why they make it so readily available! But it’s true that many people take advantage of eating, and that’s why America alone has many people who suffer with obesity or weight issues. So you see, fasting is not only very good for your physical and spiritual health, but it’s also cutting back in one consuming in excess. It’s fasting and showing appreciation for that which you have had plenty of, throughout the years. 1. Filter your own water by boiling some on the stove, and stocking up gallon by gallon. Where you can buy package bottled water, I use smart water or Dasani. 2. You also want to get a bottle of apple cider vinegar. You want to start with taking a tablespoon each day for the first three days. And you were going to raise that to one shot every morning each day. This will help you alkaline your body. It also aids in the cleansing process. 3. Make sure you have plenty of multivitamins. On my Instagram, I added a picture of a lot of supplements that I live on to make sure that my body still receives its health. If you can’t buy all of that, then at least go get a very potent daily vitamin. Firstly, your emotions are going to become a little unbalanced at first. And that is because you are going through a transition phase when you fast. This is going to affect your mentality. I think it affects the mentality more than emotions too, because this is a great challenge. Your stomach is used to taking in solid food and it definitely is going to rumble and gargle a bit LOL. Make sure that you mentally train yourself to stick with it. If you get extremely hungry, guzzle down some water. But do not drink too much water! You can get yourself sick. I will talk to you about The issues you may face and also dangerous. You also want to add some juice here in there. Do you want to stick with juices like orange juice, pineapple juice for vitamin C. Water acts like a appetite suppressant naturally, so if you do this right, you should not have any problems. But you definitely want to go the entire seven days. Three days is OK, and I can’t be greatly beneficial. Therefore 70 days completes the transition. When you water fast, you can get sick if you drink too much water. You want to make sure that when you wake up you don’t right away drink a bunch of water. You could make yourself nauseous. Instead sit back have a cup of tea and very light sugar or sugar substitute that’s healthy. I don’t recommend any of the sugar substitutes with aspartame. Just set and wait for a while. In a couple hours you will start to feel better hungry. That’s when you want to drink 16 ounces of water. Around mid afternoon, drink another 16 ounces. We will do the same at dinner time too. Later on in the evening drink your orange juice. You could even substitute the tea in the morning, with a glass of orange juice instead. This will give you extra energy and vitamin C and help you boost your immune system which the water and actually does too. It also gives the body The lesion because of the flavor in the orange juice, that it has eaten. If you are on any kind of medication, be careful with water fasting. This is a body detoxifier and cleanser naturally, therefore it will wipe out any medications that you are on. That goes for people who take antidepressants, and Anxiety medication, methadone, Suboxone, Ritalin, Pain Meds, Adderall, and insulin etc. Fasting will wipe it right out of your body. And that definitely will not be a fun thing! I work with a lot of people who take those medications every day. Without them, it’s sort of like feeling like you’re dying. So be careful. If you do take those medications, you want to continue taking your medication as prescribed. But you may want to add a few pieces of dry toast here and there throughout your day. That way you have a little something to absorb all of the water instead of it just totally flushing out your body quickly. I don’t typically recommend water fasting for people who are on those types of medication. If you are a diabetic, please be advised. Your body needs food to naturally process sugar and you keep your sugar levels balanced. What are fasting in definitely alter of your sugar level. I would really recommend that you not water fast, but instead just drink only water with your normal every day diet. If you are reading this, and you are under age, please make sure you speak to your parents about water fasting and what they think about it. You don’t want to do something without their knowledge and perhaps they may know something about your health that you don’t. Don’t take the risk. Since you are water fasting, you should also know that you are not gonna feel too good for a few days. It’s just like when anyone stopped eating meat to turn into a vegetarian. They feel with drawl symptoms. You get hot and cold flashes, periods of weakness, your body feels yucky. And that’s because your body is used to taking in a substance, no matter what it is, on a daily basis. When your body remove something that’s been a part of its system for such a long time, it does process with drawl symptoms as a way to adjust. You will also experience this with water fasting because, you are not eating like you do every day. Don’t give up though. It will go away in a few days if you can make it to the full seven day challenge. Just know that it’s not gonna be easy but it is possible. Once you do it the first time, I’m sure you’re going to want to do it time again. It truly is invigorating, it mentally disciplines you and it makes you vibrant and healthy. Good luck everybody. And if you have any questions or needs, please contact me. Good luck with your challenge and let’s see who makes it here! It was a brisk , cold November morning. It was Saturday, back in 1958. Dad decided he would go on hunting, to see if he could catch some rabbits for supper,. He was about 14 years old. He had decided to go hunting back in a location that the locals called, Bee’s Pond. it was off of the haunted Flood gate road, where the Gabriel Davies Tavern, an old Military hospital, was located. Everyone knew this road, and the tavern itself was a terribly haunted place. He went off of Floodgate road, into a big field. He was carrying his trusty, 12 gauge, pump shotgun. He had used it all of the time for hunting. As the day went on, he could not find any wild game to bring home. So, he figured he should head on home, before it got dark. Back in August, Dad’s little brother Michael and some friends, had gone fishing back there, off of a little rock. At that time, they had come running home, and were ranting and raving about an invisible thing trudging through the water, where they had been fishing. They could see the splashing and water moving of the food steps, moving towards them. Afraid, they ran home, leaving all of their fishing equipment right there. Dad’s other brother’s and him, went back to the fishing spot, to see what was going on as they had described the situation to them. Big brothers to the rescue! When inspecting the area, they found nothing, except their fishing equipment, in which they had left behind on the rock. Getting back to Dad’s day of hunting back there in November, it was starting to get dark. Dad was on his way home, walking down Floodgate Road. There was a field to his right, and woods to his left, and the river just below the woods. As he continued to walk, he heard footsteps walking along side of him, there in the woods. So he stopped to listen, and as he did, the footsteps stopped with him. He began walking again, and “it” began walking again. Yet again, Dad stopped. And the invisible figure, also stopped when he did. So Dad loaded his shotgun with three rounds of ammo and jumped into the woods where he heard the footsteps. Dad shot to his left, and shot to his right, and shot right in front of him, and there was complete silence. The creepy kind of silence. Dad looked around and he could not see a thing. At the same time, he reloaded his gun. And he again, jumped out, back onto the road. He started to walk again. ll of a sudden, he heard the footsteps came back, in the woods beside him. At that point, my Dad was so scared, because he could not see who it was, or where it was. As he had been walking the dirt road, footsteps to some invisible stranger had been walking along side of him in the leaves about 12 feet away from him to the left. He was so frightened at this encounter, that he started running. He had made it to the end of the road, and stopped to catch his breath. He still had a good half of a mile to walk, through the woods to get home. As he started to walk up the rest of flood gate road, up by the old military hospital mentioned in the beginning, built in 1876, half way up the road, he heard the footsteps come back again to his left but still could not see anything. He ran again, trying to get home as soon as he could. He was breathing heavily through his mouth, and accidentally swallowed an insect due to being so overly excited and afraid. He started choking on it, trying to spit it out, but had swallowed it. When he finally got to the end of the road, he unloaded his gun, and walked the rest of the way home, which was about 4 blocks away. Dad had lived not far. Near his home, there was a small ravine that they called “The Gulley”. Dad and his family had been feeding some cats with some aluminum pie pans. They had heard something outside of the window on several occasions. The pans were found smashed and distorted. So they had a great idea to put up spot lights in the ravine for whatever was coming, and making all of the noise and smashing the pans each night. On the night that they put up the spot lights, they tested them out. The lights had lit up the woods, as if it were day time. Then they turned them off an waited. Dad had his shotgun on him of course, and so did his brothers. They sat and waited for the visitor. After a few hours of sitting in the dark and waiting, they heard a noise on the other side of the “Gulley”. It sounded like a person walking and smashing through the brush.Dad could hear the footsteps coming down the hill on the other side of the ravine. Then, the footsteps were heard walking up the center of it. Dad was standing on the side of the ravine on a slight angle facing downwards, looking and listening. He had some bushes next to him as he stood watch. He could hear the footsteps walk all of the way up the to the bushes in front him. But alas, nothing was visible. Only the sound of mysterious footsteps. Then, suddenly, the bushes started to shake as if someone had grabbed them and started to violently shake them. So Dad had shot one round into the center of the bushes. After that, nothing was there! No animal, no person. If so, they would have for sure had been shot by dad’s gun. Only, heard the footsteps again, this time heading on back down from where it came from. They went to the far other side of the gulley from where they came. The invisible man, had been “heard” walking many times by many people, and still to this day, by those going back there at that time of day, around 5 pm. Could it had been, one of deceased soldiers making his way though through the woods, and neighborhood making his way back to the tavern, the old hospital where he lived, and perhaps died? Had it been a soldier of the area who had fished and lived there, only to have passed away, and become a haunting figure there in the woods, that still even in the afterlife, continued his journey and path through the woods for all time? You decided. Dad has no idea, as the figure was unseen but heard. This information may not be copied, pasted, or re-used for any reason, with attributing credit to the author, or asking permission. All material is protected under the trademark . Thank you!